Used to connect 2 or more copper wires together where vibration is present. 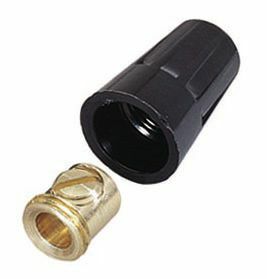 Ring Terminals are UL/CSA Listed. Quick and reliable crimp-type wire connections color-coded by wire gauge size with vinyl insulated barrel. Dependable and easy to use, Gardner Bender terminals and wiring accessories offer the high quality and application flexibility that professionals demand. Look to Gardner Bender for secure wire connection options. #22 Set Screw 4/pk Used to connect 2 or more copper wires together where vibration is present.